I’ve been reflecting a lot on some of the more subtle changes that have flowed into my life because of our year of More Than Enough Stuff. Not buying non-consumable goods reached every area of our lives and helped us to see small how small adjustments in attitudes and behaviors made a big impact on our happiness and well being. We definitely began valuing experiences over things in a more active way than before. Although that has always been an undercurrent of our family culture, it really took center stage this year and became a clear priority. Another area where I noticed subtle changes was in the way I began slowly allowing myself more self-care experiences without some of the guilt or regret I may have felt in the past for similar things. Somehow, not spending money on unnecessary stuff helped me see which types of more “unnecessary” but really nice experiences added value and happiness to my everyday life! These are three self-care habits that have become part of my lifestyle this past year, and that bring me a lot of satisfaction. I feel proud of the ability to give myself permission to spend time and money on myself in ways that may have felt really silly before. More often than not, I feel like we (women) deny ourselves simple self-care out of perceived obligations to others and in so doing can create small, unnecessary resentments towards those we love and are serving in our lives. I have always been a bather. It has been a place where I could feel warm, clear-headed, and happy. I labored with all three of my babies in the tub, and Plum was a water birth. So, it may come as no surprise that taking the time to relax in the bath is a self-care habit I chose often this year. 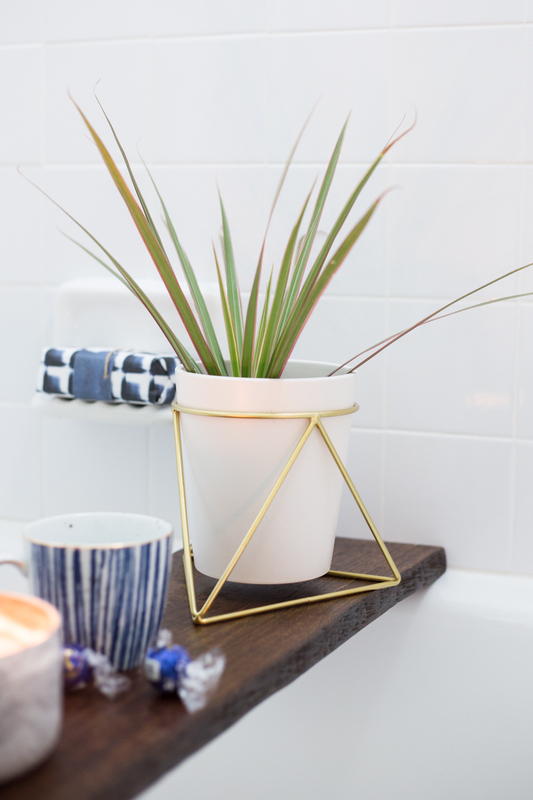 In fact, I even created this incredible simple DIY bath shelf for World Market’s Discover Blog, and I have been using it regularly. Not only have I been bathing, but I have found ways to elevate the experience and have relished them. 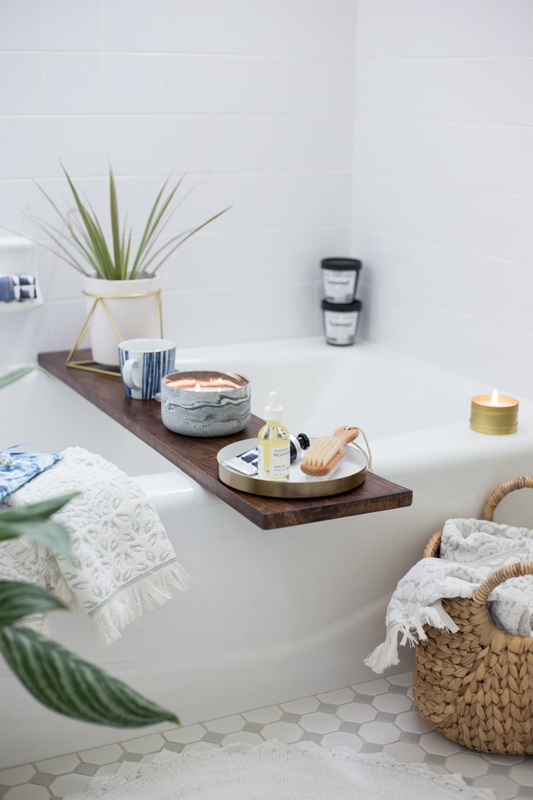 I burn a candle, bring a book, turn down the lights, play some music, add bubbles and a bath bomb (my favorites are Tubby Todd), and even have started using a bath pillow to create the most relaxing and spa-like experience possible. It has been amazing. I don’t mind the cost of the bath salts and soaps. In fact, I feel like I’m finally using them up rather than just stashing them away for some unknown future date. I am taking time, now, to rest and relax in meaningful ways and it feels so good. There is just something about having my nails done that helps me feel pulled together. But, because of the investment of time and money, I never had created a regular habit of having them done professionally before last year. I have a uv light and gel polish that I bought years ago on Amazon, that works super well. I have just had such a hard time making time to do it at home lately, and when I do it is never quite as great as when they are done at the salon. So, I have started making a habit of heading over to have a gel manicure every month or so. It helps that when we moved to Richmond, I found a local salon that serves a drink, gives a massage, and does your nails all as a basic gel manicure. It has become a whole experience, and I really enjoy taking the break from the kids and the schedule to sit, unoccupied, for an hour. Because my hands are being worked on, it becomes a necessary hour of unplugging from my phone, working, or doing anything except just sitting still. The break feels nice, and the $30 a month I spend on that instead of something else seems like a great investment in myself. When we began our challenge last year, one of the big pieces I wanted to implement was the idea of “using what we have”. At the time, I had a little stash of nice candles away in a closet, waiting for the perfect time to burn them. In the meantime, I was simply not enjoying the candle love! Sometime last year I started pulling those candles out of the cabinet and burning them regularly. 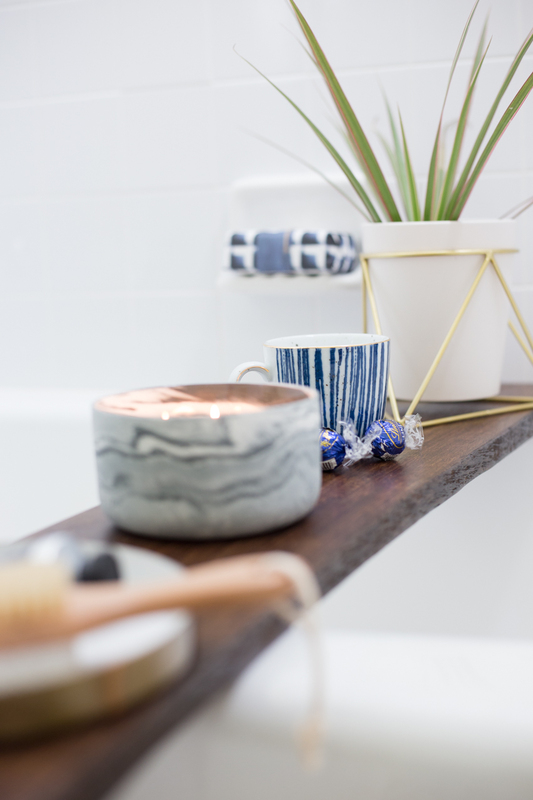 I now light candles in the morning, near my computer when I am working, in the kitchen as I cook, and always while I take a bath. I have a candle in every room in the house, and sometimes they are all burning at once! Instead of feeling like I am wasting the candles, I am actively and intentionally burning through them and enjoying every hour of burn time. As they burn I am enjoying the intention and meditation qualities of burning candles, as well as the coziness and delicious scents they add to our home. Especially in our small rental house, burning candles has added such a wonderful quality to our space. Buying myself flowers every week was actually part of my lifestyle long before we stopped shopping last year, and I wanted to include it here because it is so valuable as a self-care habit! There is something special about fresh flowers. They are part of some of the most special celebrations of life, and found in almost every situation where there has been intention to elevate the surroundings, like at a great restaurant, or in a beautiful hotel lobby. At some point along my life, I decided that I didn’t have to wait for some special celebration to buy fresh flowers for myself, instead, I could make every day a celebration by adding them to my weekly grocery list! I now buy several small bunches of fresh flowers every week. I spend a few minutes delightfully arranging them into small bouquets for around my house. 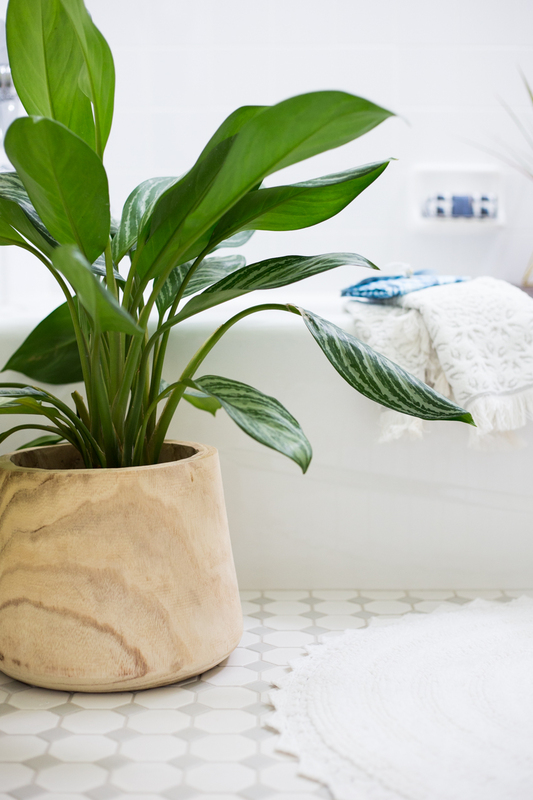 I have one in almost every room…yes, right next to those amazing scented candles. For some, buying flowers that will die and be thrown away every week, only to be replaced may seem like a silly strategy. The simple fact is that fresh flowers make me happy. They add a lovely bit of beauty and life to every room in my house, and add far greater value than another knick knack or piece of decor would have. I also have lots of house plants, and still I feel like flowers add a special something that is well worth the small investment each week. Being able to make a nail appointment or take a long bath may seem like ridiculous things to some people, and absolutely a waste of time and money to others. They have been wonderful practices for me in my life, however. A big part of this journey to intentional living is learning what things we find add value to our lives, and choosing those–regardless of what anyone else thinks about it. So, what are the self-care habits that would add value to your life? And how are you going to get started? This is your life, friend! Make it one you absolutely love by deciding how you want to be cared for and what environment you want to create. I am so grateful that by taking a break from my regular grind of typical consumerism I have been able to recognize a few simple self-care habits that have made a difference in my daily life. I hope you will find some, too.